In the Japanese language, many words are made by combining two characters. 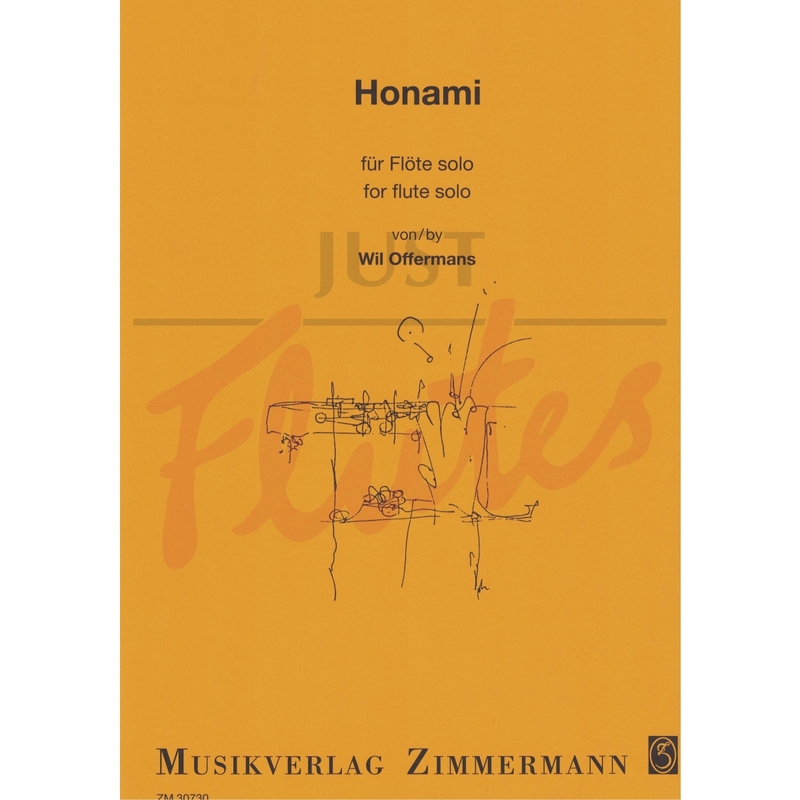 Honami is a word that combines the characters of ho and nami. Ho means ear (i.e. ear of corn) and nami means wave. Together they refer to the waving scenery one can see when the wind blows over a blooming rice field. Here, the wind is the cause, the rice field is the medium and the waving movement is the consequential result. 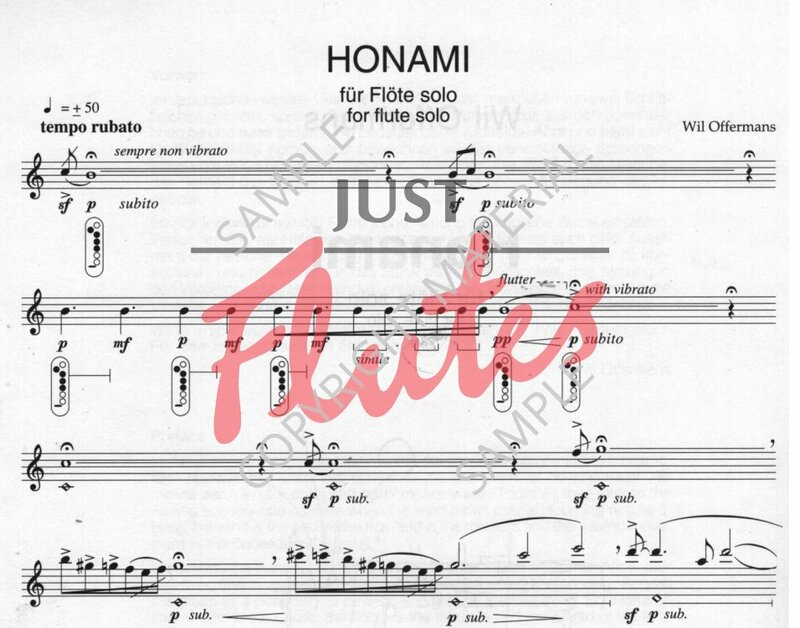 In Honami, the flutist is supposed to use his or her breath in a similar way. The flutist's inhalation and exhalation profiles the timing and sonority. 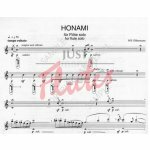 For Honami, the breath is the cause, the printed music is the medium and the sound of the flute is the consequential result. For more technical information see Wil's book For The Contemporary Flutist.